If you are going job hunting any time soon, it would be great if you have a scannable resume on hand so you can send it to several employers at the same time. Most resumes are often done in Word because this writing program makes it easier for you to format and arrange the contents of your CV compared to Text and PDF. What’s more, most companies today are using ATS or Applicant Tracking System where the information you send through your resume gets organized and reviewed for processing, and if it is not written in a file format that the tracking system understands, it will simply disappear. Need Help with Scannable Resume? There are times when a scannable resume would be asked of you by the employer because it is easier for them to extract pertinent information from it such as your name, work history, skills and contact number. 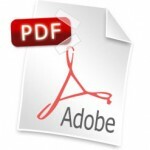 You can send a resume in text format or Word format for this since they are readable. Resumes in PDF may not be easy to scan, but you can still send one in case the company that you’ll be applying to is a starting up business or tech savvy. If you’re not familiar on how to make a scannable copy of your resume, it’s best that you look for professionals to do it for you. If you plan on making your own scannable professional resume but don’t know where to begin, you should look for samples first. There are online sites such as ours where you can get examples that you can follow but why go through all the difficulties when you can simply hire us to make one for you? 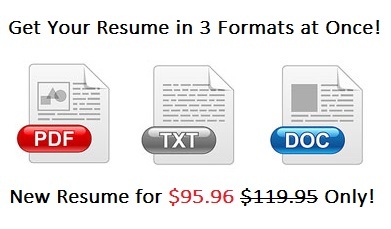 When you place an order for a resume you’ll get not just one but three resumes in Word, PDF and text formats. Regardless of whether you are looking for a resume in Text or Word format or you want one following a PDF resume template, you are sure to find what you are looking for with us. After all, this is where we excel because our resume writing service has been around for quite some time now and knows exactly what employers are looking for in a resume.